Finally, all the hard work and time spent by the team on testing and optimizing the vehicle (see this and this post) has paid off. The team did very well in the static parts (Business Presentation (Rank 3), Cost and Sustainability (Rank 8), Design (1st Place!). Acceleration (Rank 7) and Skidpad (Rank 16) showed technical problems, and the team did not reach the same performance as in the test runs :-(. During lunch time, the problem has been identifed, but it was only possible to apply a workaround. During the Sprint event, problems appeared again, still resulting into rank 3. The last and hardest part is the Endurance with a 22 km race: and here the team mastered the high temperature on the race track with excellent round times, resulting in the 1st place for that category! The team reached a total of 921.3 out of 1000 possible points. Outstanding achievement! 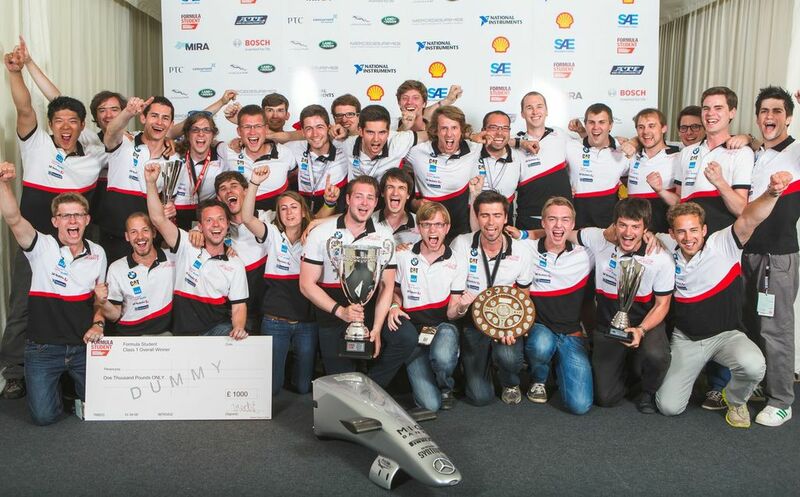 With this, the team won the first place of the Formula Student 2013 in Silverstone/UK. 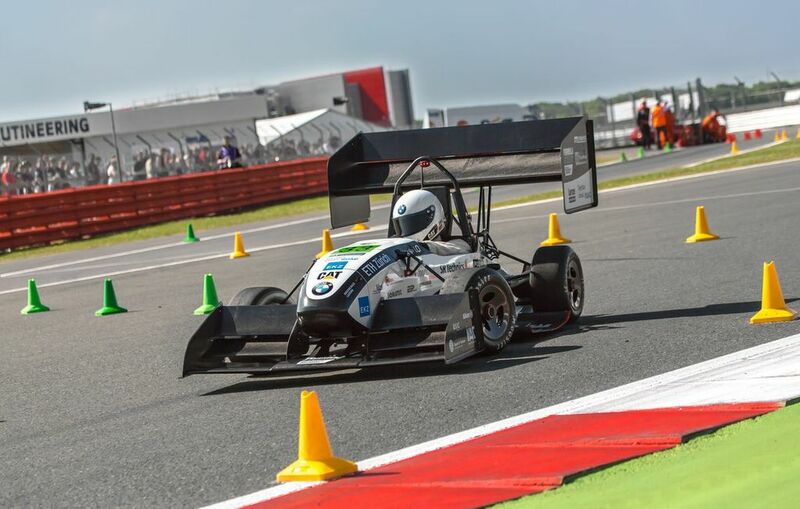 This entry was posted in Embedded, FSE and tagged AMZ, Formula Student, science, technology by Erich Styger. Bookmark the permalink. How much were you directly of indirectly involved with this, Erich? Were these your students working on a project in one of your classes? Did these students get any kind of academic credit for making this happen? Was it school sponsored or entirely independent? BTW, will the technical information on what they did and how they did it be available anywhere? I am sure lot of people could benefit from what they learned. Yes, they did that in project I’m involved, over the period of one year. The first half year is more about the concepts, and the second half is about building that car and get it running. It is school sponsored, in addition to the sponsoring from supplier and external companies. And yes, the student receive academic credits to make it happen, and they are evaluated on the results. They are organizing themselves, set the goals and challenges themselves. The professors and scientific assistants only mentor and assist them, as they have to drive the project from concept to the real car themselves. 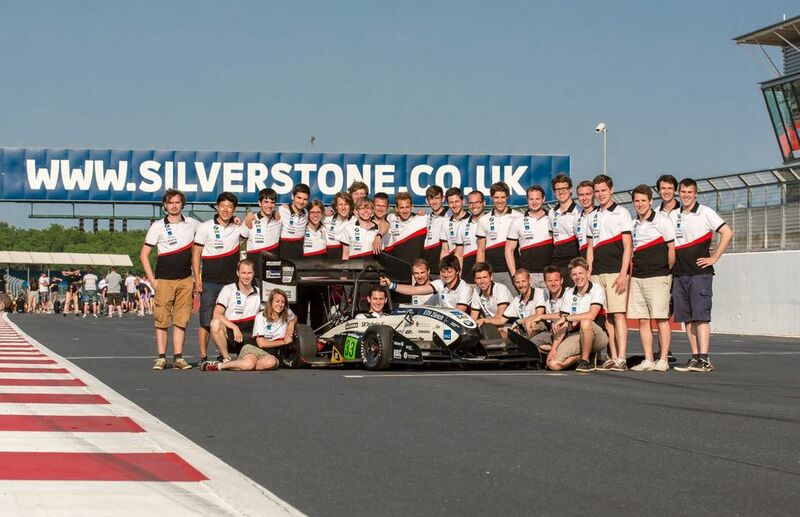 The technial information behind this is owned by AMZ (the student organization), and they share tips, tricks and information with other Formula student teams. While it is a ‘competition’, they help out each other. Keep dreaming, and it can be a reality :-). How might one get the technical information (schematics, blueprints, parts lists, assembly instructions, etc.) to build one of these cars? It seems like a lot of valuable information to lose if no one organizes it and makes it available to others.